Richard Johnson is editor of Automotive News' print edition. DETROIT -- Porsche won't build an entry-level roadster or a small crossover, but is ready to make the call on other new models, said Bernhard Maier, board member for global sales and marketing. One model under consideration is a sports car to fill the rarefied gap between the most-exclusive 911 and the limited-edition 918 Spyder. "We have a lot of ideas and a lot of opportunities," Maier told Automotive News on Monday. "But whatever we do has to clearly fit with the brand." That rules out two vehicles. "We've decided not to build a roadster below the Boxster [and] we will not offer an SUV below the Macan because it will not be a perfect fit," he said. "We found we would be irritating our current customers." But several other ideas are currently under study. "Clearly we will make decisions in the next couple of months for future cars," he said. Among the other products presumably still in the mix is a small sedan. And the 960, known internally as FeFi for Ferrari Fighter, is definitely a contender. 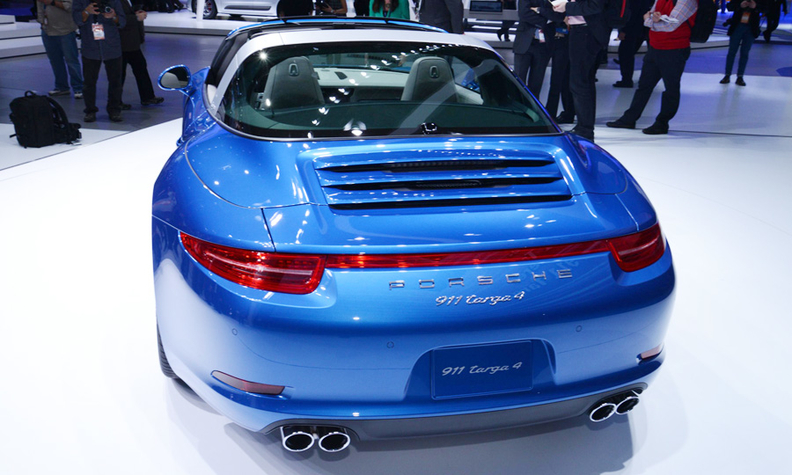 "There is clearly some room between a 911 Turbo S or a 911 GT2 and a 918 Spyder," said Maier. "There are ideas in the basket."